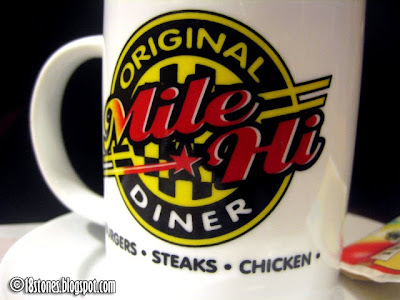 Mile Hi Diner is another diner in the city. Borrowed from American concept where diners originated, it adopts the red-white stripe theme, as well as the white-black checkered wall. But the influence stops there. 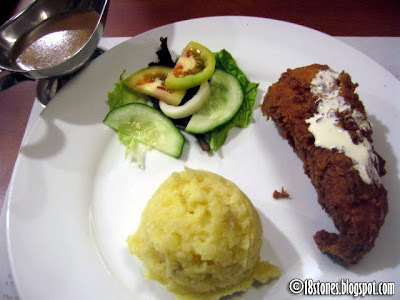 Their Menu is a mix of American meals as well as Filipino dishes. 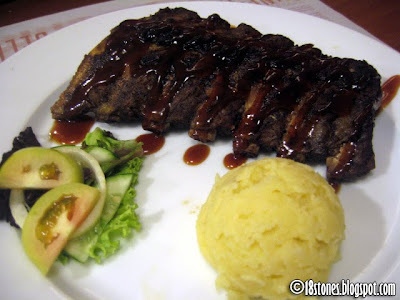 They offer Salpicao, Calamari, and even Combo Meals like Sizzling Porkchop. There's something for everyone here. Their Fort branch is a little tight. But once seated, the cushy couches are roomy. The toilet is small, fronting the kitchen window, so arrange yourself properly before leaving the comfort room. 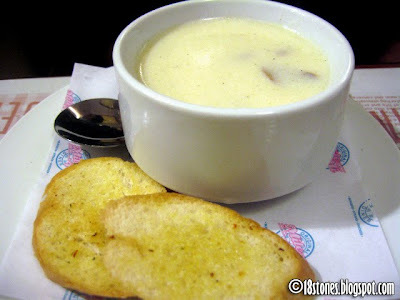 I don't judge food so much as I will (shamefully) eat anything that has decent taste and not poisoned. I could say that nothing stands out here, in the sense of having 'great or bad' taste. Parking is free (at the time we went), and is located underground/basement of the opposite building with the condo. Do not attempt to ride the elevator going to the Ground Floor coz it will lead to the condo's lobby and no direct exit to the restaurants outside. Just walk up a level. Parking outside the restos is around P50/hr.